Question: Do I have to be a registered B&B? Answer: No there is no requirement to be registered and no registration fees means a BIG savings. Question: What's the cheapest way to become a member? Answer: Associate Members pay nothing up front just 7% commission (as a booking fee) taken from the guests credit card when a booking is confirmed (the balance payable directly to the B&B) - There is NO paperwork, NO monthly commission bills and in fact, we never ask you for a penny. You can even take payment immediately on booking (or a deposit), on arrival or departure. If you are in a busy tourist area you may find that Full Membership works out a far cheaper option. Question: What is Stripe Payments System? Answer: Stripe payments processing is a simple and powerful way to accept secure payments online. The B&B Owners Association has fully integrated the Stripe payments system into the B&B Owners dashboard and a Deposit or Full Amount for bookings can be taken with a single click. If you have a "No Show" just click the no show button and take what you are owed. Sign up for a Stripe account and use it instantly. There are no setup fees, no monthly fees, and no hidden costs. With Stripe, you can accept all major debit and credit cards from customers in every country in 135+ currencies. We even provide a free terminal (available on your tablet or smart phone for convenience) so that you can take payment from anyone anytime. Question: Can I just advertise on your websites with a link to my own website.? Question: I need a new website for my B&B - can you help.? Answer: Yes we have several options. • Full Members are provided with a website, domain name, hosting and annual renewal as part of their membership package. Question: What is the main benefit of full membership? 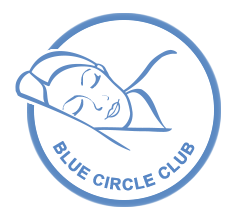 Question: What is The Blue Circle Club?